Tanya Carter is first and foremost a yogini living a yogic lifestyle. She has many strings to her bow, but most of all loves sharing the in-depth knowledge and love she has available to her, around yoga, meditation, crystals and raw food (eating for optimal health) and sound and vibrational healing. Her path has been an enormously rewarding and varied one. She now teaches mindfulness in schools around the county. 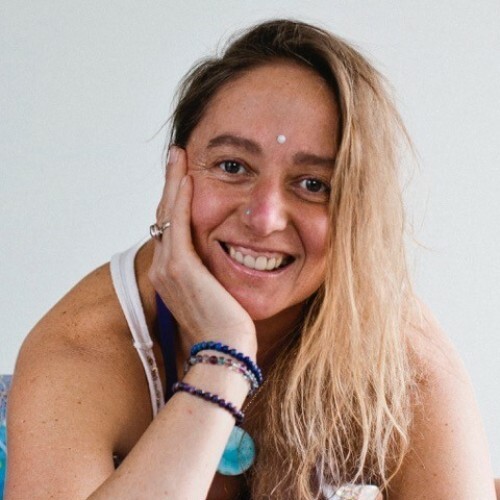 She also holds and promotes many events including Sundara, an annual community yoga, dance and sacred sound-healing gathering, along with Living Yoga Retreats and workshops. Her philosophy is to share what knowledge you have with an openness and love for humanity, so we may all learn and experience from each other and truly shine. Tanya manages to adapt her teaching to suit a variety of needs, with an ever-expanding awareness, inherent wisdom and love in her heart. For more information or to enquire about booking events either at the Isbourne or other please feel free to contact Tanya.